As much as I love going out and using gear and creating stuff with it, I can’t help but get excited about the geeky technical side of photography and video, too. This particular video from Curious Droid talks about ultra high speed cameras. And while the Panasonic GH5 with its 180fps 4K footage is quite impressive, we’re talking cameras that shoot millions of frames per second. I had wondered in the past how cameras had managed to track objects in slow motion moving at or over the speed of sound. And we’ve all seen the nuclear test footage of bombs exploding in slow motion. But how did they manage this? Especially given the technology of the day? Turns out, it’s all down to mirrors. 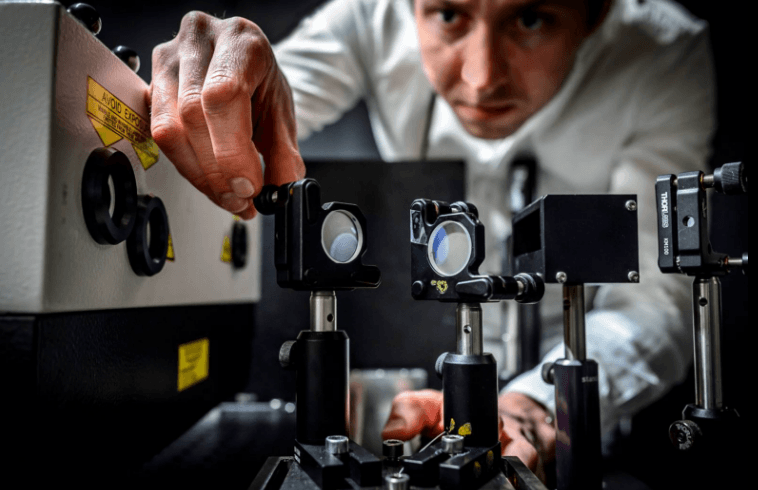 High-speed cameras are certainly useful for slow motion, but they can also find their application in science. 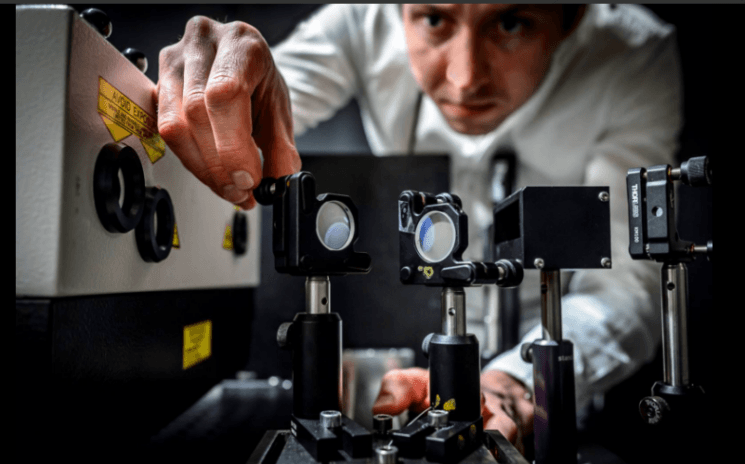 Elias Kristensson and Andreas Ehn, researchers at Swedish Lund University, have revealed the world’s fastest high-speed camera. It’s able to capture as many as five trillion frames per second. This sounds astonishing only when you try to read this number, and what’s especially impressive is that camera can visualize the movement of light. It can capture the events as short as 0.2 trillionths of a second. 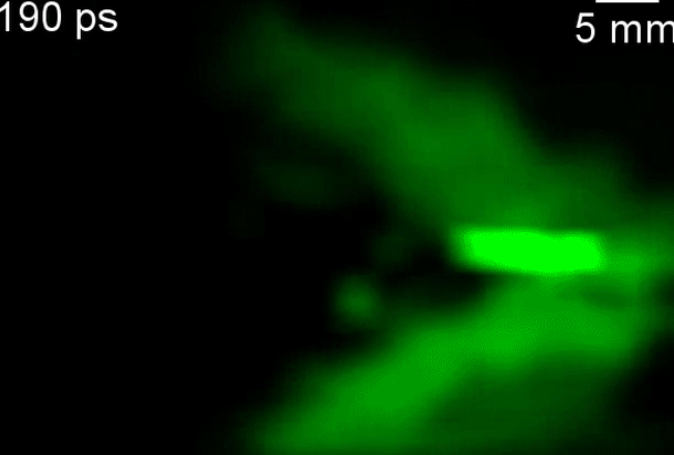 To demonstrate the speed of this camera, the researchers filmed a group of photons. They are traveling a distance of a paper’s thickness at 671 million mph. Yet, this camera makes it seem as if they’re moving slowly. According to theoretical physics, nothing is faster than the speed of light. However, now you can see with your own eyes the first ever recording of a “sonic boom” – created by light. Or scientifically called a photonic Mach cone. It was recorded by researchers at Washington University in St. Louis, and they used a custom high-speed camera to make the footage. You’ve heard about sonic booms, and you’ve probably heard one at least once. They occur when an object exceeds the speed of sound. But if nothing is theoretically faster than light – how did they do this? In the description, the setting seems simple, and they built the custom high-speed camera – the fastest one in the world. We’ve posted about the Chronos high speed camera a couple of times before. We mentioned how it smashed through its kickstarter goal in less than 24 hours. There’s still three weeks left of the campaign, but several units have been sent out for testing and review. One of those is Ben Krasnow, of YouTube’s Applied Science channel. In a video uploaded to the channel a few days ago, the Chronos is mounted to a DIY motion control rig that pivots around a central point. This creates for an amazing slow motion bullet time style effect. A few weeks ago, we told you about the new high speed slow motion camera, Chronos. Well, it went live on Kickstarter a couple of days ago, and was fully funded within just a few hours. And that number just continues to climb. With a CAN$65,000 (~$45,000) goal and 27 days left to go, it’s already reached a whopping CAN$187K (~$138,000). With frame rates ranging from 1,057fps to 21,649fps, it’s the first truly affordable ultra high speed slow motion camera out there. A camera that’s been in development for the past decade by just a single man, David Kronstein, to even get it to this point is an incredible feat. High speed cameras are generally out of reach for most people. Sure, our iPhones can do 240fps now, and there’s a few postage stamp 1000fps compacts, but if you want to go faster, you’re generally out of luck. High speed cameras come with very high price tags, and even renting them is an absurd amount of money for the majority of us. Now, there’s a new high speed player in the field, the Chronos. Developed from scratch by lone engineer David Kronstein, the Chronos costs less to own than the alternatives cost to hire for a day. It’s still not quite perfect. The software needs some work and it has a maximum resolution of 1280×1024, but it represents some much needed low cost competition in the high speed market. This video from Taofledermaus is the first unit to be sent out for testing and review.